Suggested Usage: As a dietary supplement, take 1 softgel 1 to 2 times daily, preferably with meals. We highly recommend taking this product with a source of essential fatty acids such as NOW- Flax Oil, Evening Primrose Oil, Borage Oil or Omega-3 Fish Oil. Other Ingredients: Rice Bran Oil, Softgel Capsule (gelatin, glycerin, water, annatto extract, zinc oxide) and Beeswax. 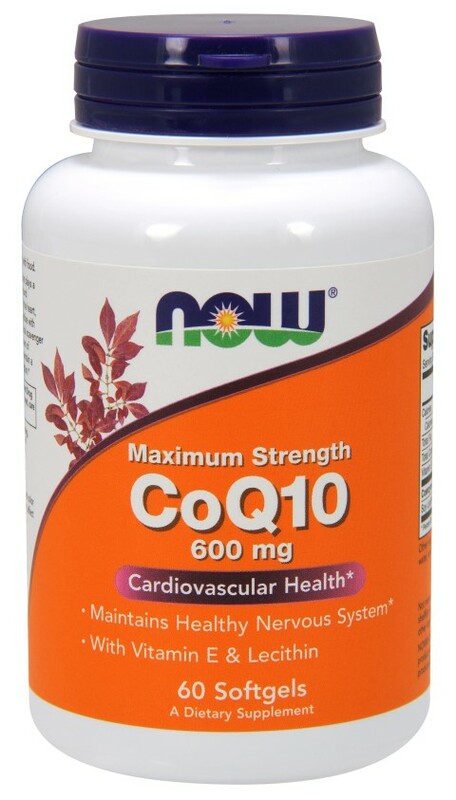 NOW- CoQ10 is Pharmaceutical Grade (USP). NOW CoQ10 products contain only the 100% natural, all-trans form of CoQ10 produced by fermentation. Contains no titanium dioxide. Separation and color variation in the softgel may occur. This is natural and doesn't affect product quality. Due to size of softgel, take with 8 oz. of water or other beverage. As an alternative, NOW also offers CoQ10 in smaller softgel, capsule, powder and liquid forms.